Our nation-wide team is experienced in surveying any scale of project. Using aerial drone photography and GPS point mapping, we cover a lot of ground quickly, providing pile stakeouts and extremely accurate topographical surveys for utility-scale projects. Exactus Energy offers comprehensive topographical surveys with the ability to create accurate, high-resolution contour maps. We use advanced drone technology to survey large areas of land more accurately and efficiently than conventional land survey techniques. Our aerial photogrammetry experts overlay drone imagery with the topography of the land to display aspects that would not traditionally be covered such as drainage points, neighboring elevation changes, etc. Our digital mapping products also include 3D models of land space, shadow analysis of all shade casting objects, Google Earth export files, and more. 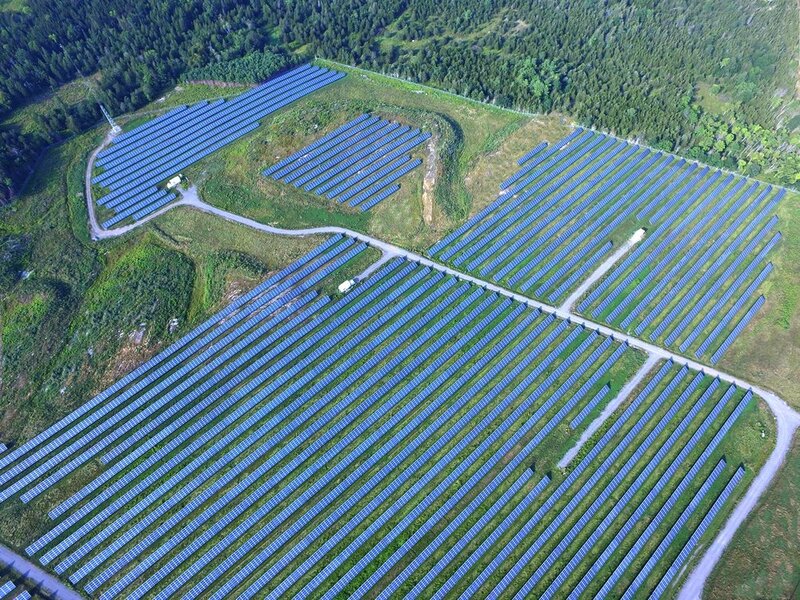 By pairing high-resolution thermographic cameras with state-of-the-art drone technology, Exactus can monitor and analyze even the largest solar installation with more speed and accuracy than conventional methods. The high-resolution aerial images are overlaid with a heat map of your array, providing a better overall picture of the array in question and it’s potential deficiencies.